A depleted St Joseph’s College team played Adams’ Grammar on a cold wet Saturday morning on the 3rd of February 2018. Adams kicked off and managed to get on the scoresheet within the first 5 minutes of play. 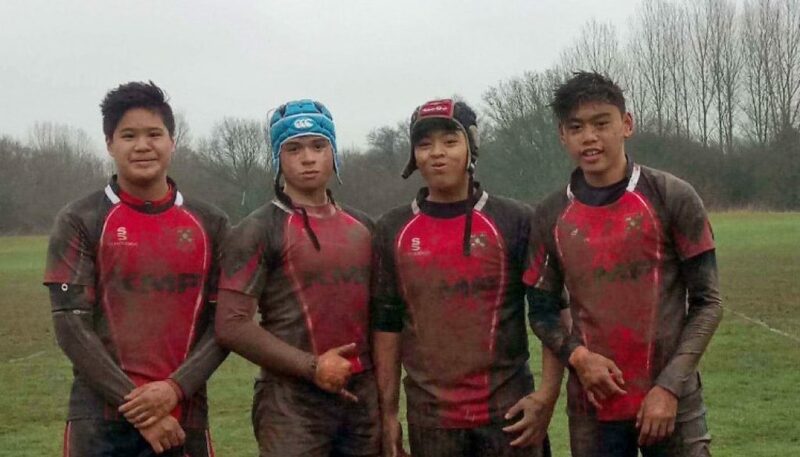 Wet conditions increased the difficulty of the game all round contributing to continuous mistakes from both teams. Arguably conditions on the pitch played a part in each of the scores occurring as St Joseph’s tied the game after 10 minutes of play after a fine team try rounded off by Jay Haydock. Nevertheless, both teams battled hard to the end. Big tackles from the St Joseph’s centres kept Adams at bay for long periods within the match until Adams eventually worked their way around the flanks scoring in the corner just before half time. However, strong mauls from the lineout by St Joseph’s College in the second half resulted in a try well worked by the forwards. As the game progressed small individual mistakes lead to St Joseph’s College conceding tries. With 10 minutes to go a good kick into space from Peter Ashcroft and a good chase from the Matthew Wright gave St Joseph’s a try in the corner. This then spurred the rest of the team on to give their all for the final moments of the game and for the team to finish on a high note. Strong running from St Joseph’s College backs kept the pressure on the Adam’s defence for the final 5 minutes but Adam’s managed to keep out St Joseph’s College, only to then score themselves with the final play of the match.